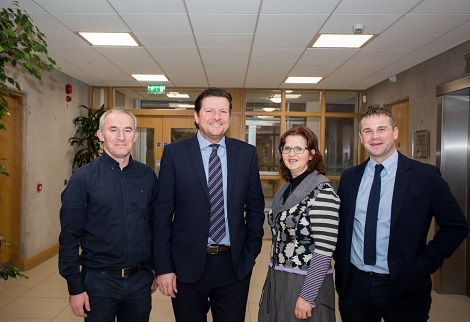 The Greentown Research team the School of Law, funded by the Department of Justice and Equality, have undertaken a follow-up study based on initial research which suggests that adults within local criminal networks target, entice and groom local children into committing crime. This evidence has informed a national and international expert design team in developing a new intervention programme to help children caught up in serious crime to escape the influence of criminal networks and access new prosocial opportunities. On Tuesday the 12th of December, Minister of State for Equality, Immigration and Integration, David Stanton announced an allocation of €1.2 million secured by the Department of Children and Youth affairs to UL to test the new intervention programme in a local community in Ireland.